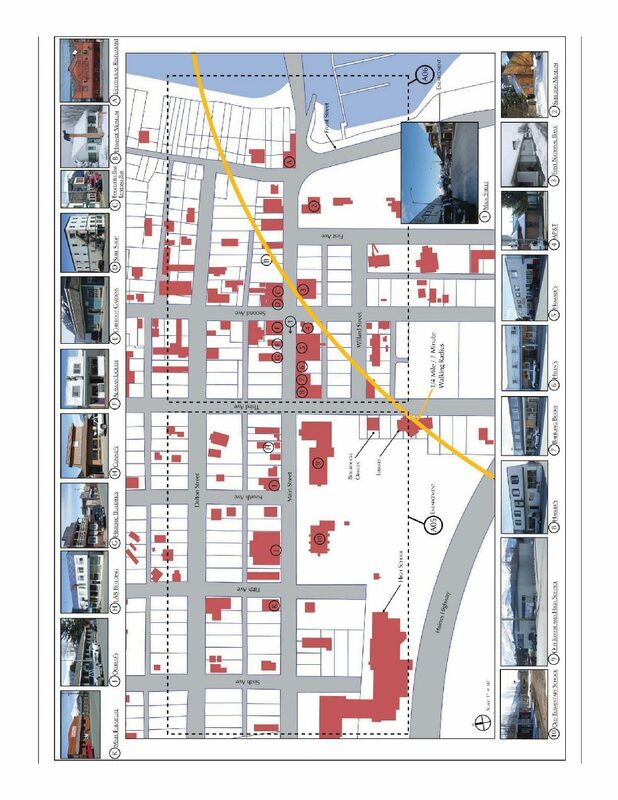 MRV and our subconsultant team, including Sheinberg Associates and McDowell, were contracted to prepare a master plan analysis that looked at the Haines downtown area, including the traditional Main Street corridor, and the separated Fort Chilkoot and cruise dock area. The planning effort was developed in three phases, with the first phase focused on fact-finding, surveys, and conversations with critical stake-holders over the goals of downtown revitalization. 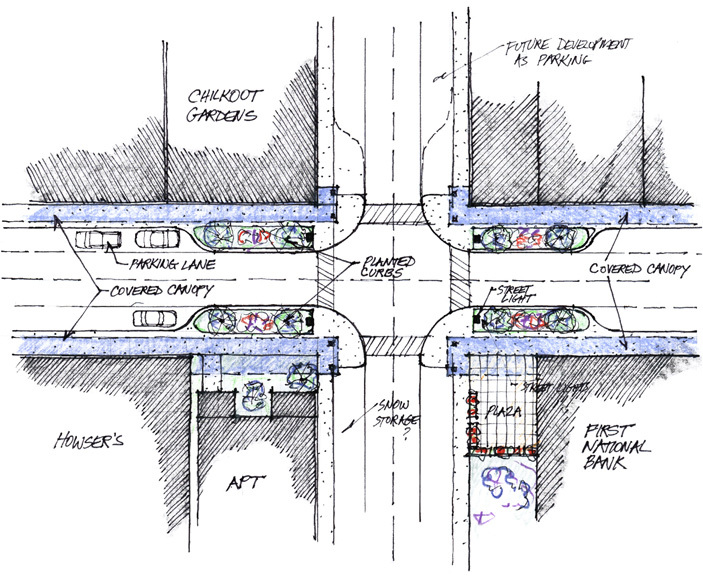 The second phase included the development of graphic options that illustrated enhanced Main Street strategies. A key element of the project was how traffic flows between divergent areas of downtown, both pedestrian and vehicular, could be enhanced. It also illustrated the addition of unifying elements, including plantings, consistent lighting, and strategic infill to enhance the vitality of Main Street. These options were reviewed and refined through a public meeting process. The final stage summarized the most desirable features into an overall plan. The plan included detailed recommendations on physical improvements, both to Main Street and to the primary vehicular and pedestrian routes that vitalize Main Street. Our team identified the buildings and sites that were critical for redevelopment focus, and other variables that could be controlled by the Borough to help implement future solutions. One of the top priorities was improved wayfinding and signage, coupled with better pedestrian links. The Assembly contracted with MRV to help implement this step of work.